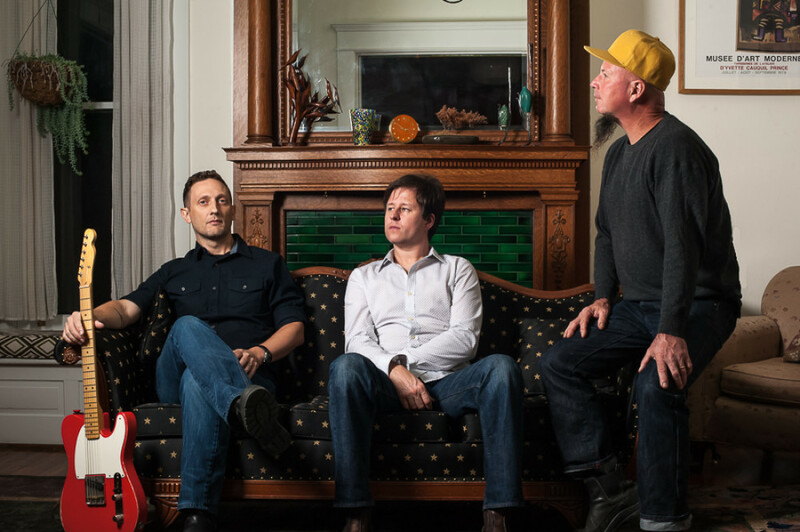 Nashville roots-rock trio the Coal Men, led by Dave Coleman, are exclusively premiering “Pushed to the Side,” the title track to their forthcoming fifth full-length record, for readers of The Boot. “Pushed to the Side” features a sparse arrangement with tasteful minimalist guitar playing that leaves space for Coleman’s vocals and the characters’ stories to shine through. Thematically, Coleman’s songwriting on the track shows his awareness of the less fortunate that surround him in Nashville, and he brings those individuals to light without resorting to offering cliche solutions. As a whole, the Coal Men’s resume is dense: Guitarist and vocalist Coleman and co-founding drummer and vocalist Dave Ray — who are joined in the Cole Men by Paul Slivka on bass — have been together for 17 years. Coleman has played with artists such as Matthew Ryan, Jessi Alexander and Taylor Swift; Slivka has worked with Tony Joe White, Tommy Womack, Amanda Shires and Elizabeth Cook, among others; and the band has opened for the Avett Brothers, Darrell Scott and Chris Knight, to name a few. Coleman also produces out of Music City’s Howard’s Apartment Studio. The Coal Men are mentored by John Prine and Todd Snider, and the band has Bob Delevante — whom Coleman calls “a father figure” and who co-penned one of Pushed to the Side‘s 12 track — and Buddy Miller on their side as advocates as well.